60% of the Chinese beauty market are hold by foreign brands! Understanding the Chinese consumers expectations’ shifting, what a challenge ! The China’s growth economy which was noticed these last years involved new Chinese consumers’ pruchasing’s behavior. Indeed, they have different expectations especially regarding luxury and cosmetics products. Actually, this new generation stays informed about last trends by browsing on online platforms. They are 55% to look for beauty tendencies through social media ! Then, Chinese girls regularly update their knowledge concerning fashion cosmetics and how to use its. Consequenlty, their needs often change and brands have to tailor them in order to further satisfy them by authenticity and products’ innovation. L’OREAL, the second brand in sales terms in 2015 ! Nowadays, many of foreign brands try to approach the Chinese market by understanding the Chinese consumptions’ skills like L’OREAL. The famous French brand took the opportunity of the Chinese market by acquiring Yue Sai, the first cosmetic brand in China in 2004. This new acquirement allowed L’OREAL to adapt it strategy development in China regarding to the beauty market’s shifting. This effort involved further 3.2% of sales growth ! E-commerce, +20% sales in China in 2015 ! Currently, e-commerce is booming in China and the popular brand passes through Chinese social medias and famous platforms in order to reach Chinese consumers who are very connected. Moreover, in 2010 L’OREAL was the first international brand to sell products on Tmall Global. The brand’s goal is to create an online consumers’ experience. Consequently, L’OREAL has learnt the traditional Chinese medicine in order to include the benefits in it products. Moreover, the brand have secured many Chinese ingredients such as mushrooms or mummified caterpillars to create natural products. This challenge enabled to reach further Chinese consumers who are very sensitive to their body and skin care. Then, L’OREAL didn’t hesitate to produce actresses or famous people in it ads aims at promote the brand’s glamorous image around the Mainland. In addition, in 2014, the famous brand created a partneship with MAGIC, a cosmetic Chinese brand, to expertise a new skincare masks. Thus, L’OREAL learned further information about the cosmetics local market in putting investments in its Research and Innovation department in Shanghai. Thanks to these funds, the brand is now very successful among Chinese young consumers with Hydrafresh Genius Water, as example. The French Provencale brand also is now part of the cosmetics market in China. It had to adapt it strategy too so that approach Chinese consumers. From the cradle to the grave, Chinese population want to brigthen their skin. In the past years, rich Chinese had more white skin because they stayed inside instead of poor people working outside under the sun. Today, this trend continues and became a fashion trick. Indeed, getting the most white skin ever make people younger. Indeed, brightening products are used as anti-ageing. That’s why, l’OCCITANE created the “Reine blanche” products with britghtening ingredients which meet a huge success among Chinese women. Body and skin care creams are made of plant which changes of colour under the sunlight and become whiter. While some famous foreign brands succeed in penetrating the Chinese cosmetics market, they have to share it with local ones which have huge benefits. 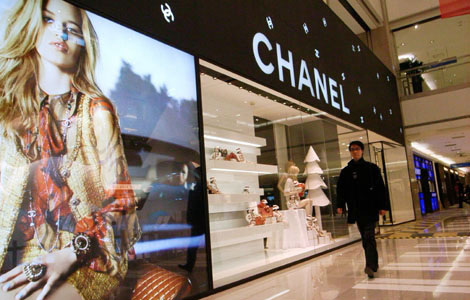 Chinese consumers expect from more sophistication and their demands are more and more complex to satisfy. Consequently, local brands get more keys in order to understand their needs. Local brands are closer from Chinese consumers which ease its the understanding. Then, these brands have the possiblity to study each society and lifestyles’ shifting around them. It is easier to communicate with them and to adapt strategy quickly. This feature allows brands to create or maintain the customers loyalty. In addition, Chinese are very attached to their old culture especially regarding their traditional medicines. Thus, thanks to their knowledge, Chinese cosmetics brands are able to develop their strategy around it compared to the western ones which have to provide more efforts to get information regarding Chinese culture. This Chinese cosmetics brand got it and succeed in taking the opportunity of it knowledge. The brand used the traditional Chinese values so that launch products. It mixed the traditional Chinese medicine and new worldwide technology aims at create effective body and skin cares products. Moreover, the Herborist internationally expanded and get into Paris at the famous “Avenue de l’Opéra”. Foreign and local cosmetics companies are competing on the Chinese market. It is not easy to adapt strategy development for brands overseas which don’t know consumers’ expectation. That’s why, passing through the digital market represents a huge opportunity to approach them easier. Indeed, they are more and more connected and spend lot of times on e-commerce platforms and social medias in order to find their favourit platforms. These different supports are very important so that communicate with consumers and learn more about their needs. 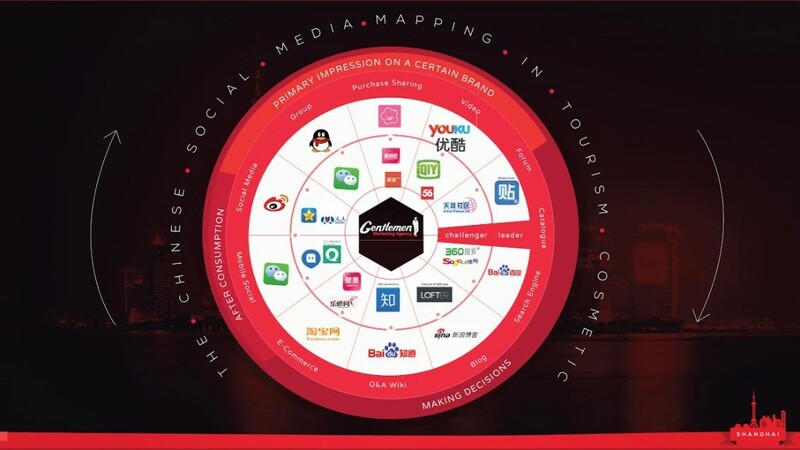 Our Cosmetic Marketing agency helps these brands to reach the Chinese consumers by using various effective tools on social medias such as promote campaigns or ad products so that engage their target. In addition, we allow brands to get a good position on Baidu, the first search engine in China with keywords, backlinks and many other features. Why cosmetics industry in China attracts foreign investements?